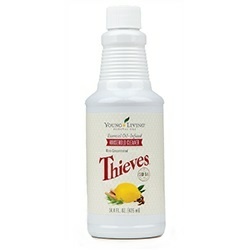 Today I thought I’d share about Thieves Household Cleaner from the Young Living Essential Oils web site. If you would like to purchase this product please use my member number when you order #12906611. I look forward to doing business with you.